I recently found discovered that there was a campsite right next door to one of my favourite local days out spots. And when I say right next door…I mean literally in the field next to the entrance! That campsite is Embers and the local attraction is Bentley. Any of you who regularly read my blog will already be aware that I’m a big fan of Bentley. Despite being unassumingly tucked away in the heart of rolling Sussex countryside Bentley has so much to offer. 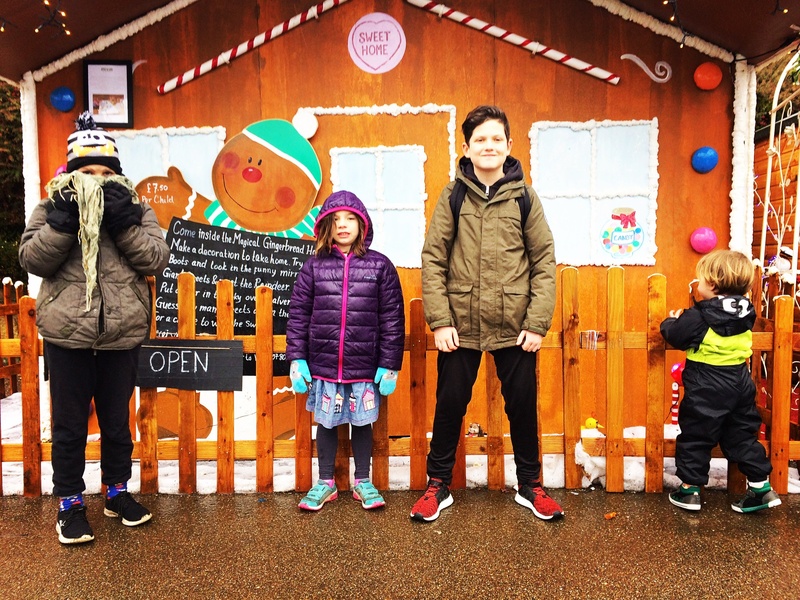 In a nutshell…there’s a miniature railway, motor museum, Wildfowl Reserve, high ropes course as well as a cafe and kids play area. 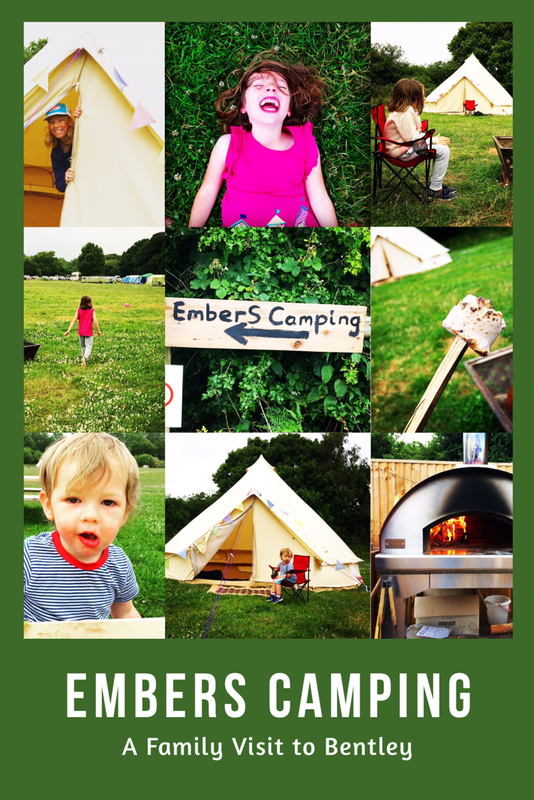 The location of Embers Campsite means that not only is the location absolutely stunning….but that you also have easy access to a number of family focused activities within walking distance of your tent! It’s the perfect package that could mean that once you’re set up for your stay you may not need to use the car again until you leave the site days later. 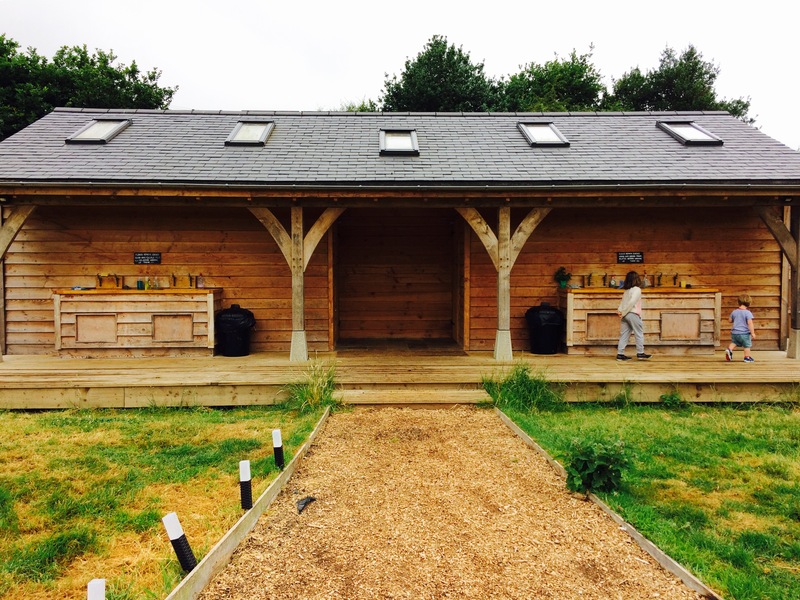 We had the absolute pleasure of visiting Embers Bentley site last weekend and found the experience a joy from start to finish. The site is tucked away in a large field with parking and a small site shop at the entrance. We were greeted by the friendly site staff, AC and David who immediately made us feel welcome. We were given a brief lowdown on the site rules and facilities and told we could drive up to our tent to unload. 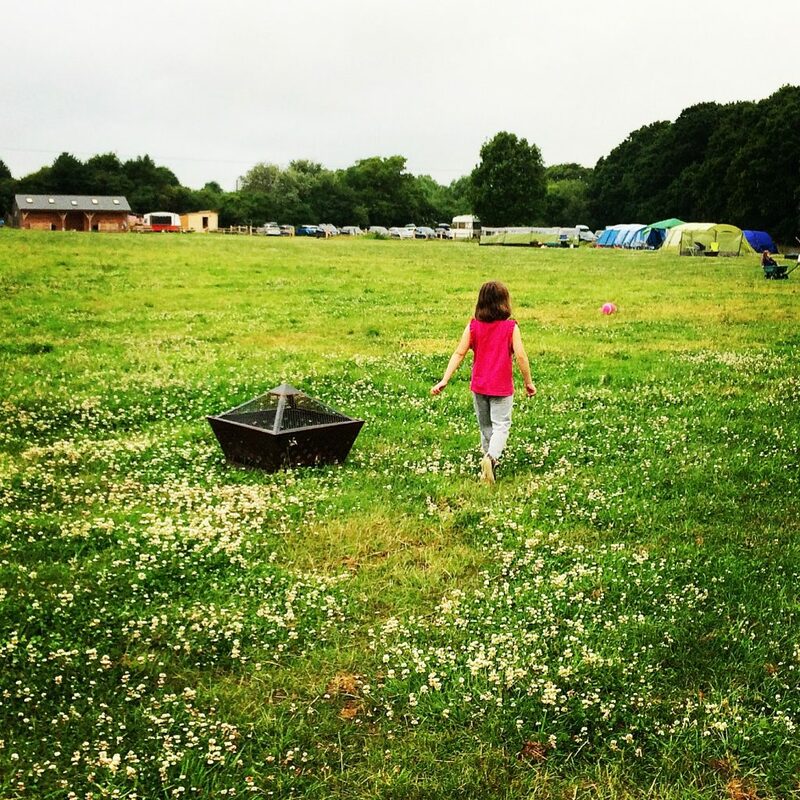 The campsite offers pre pitched family tents which sleep up to 6 people….or of course you can bring your own tent. 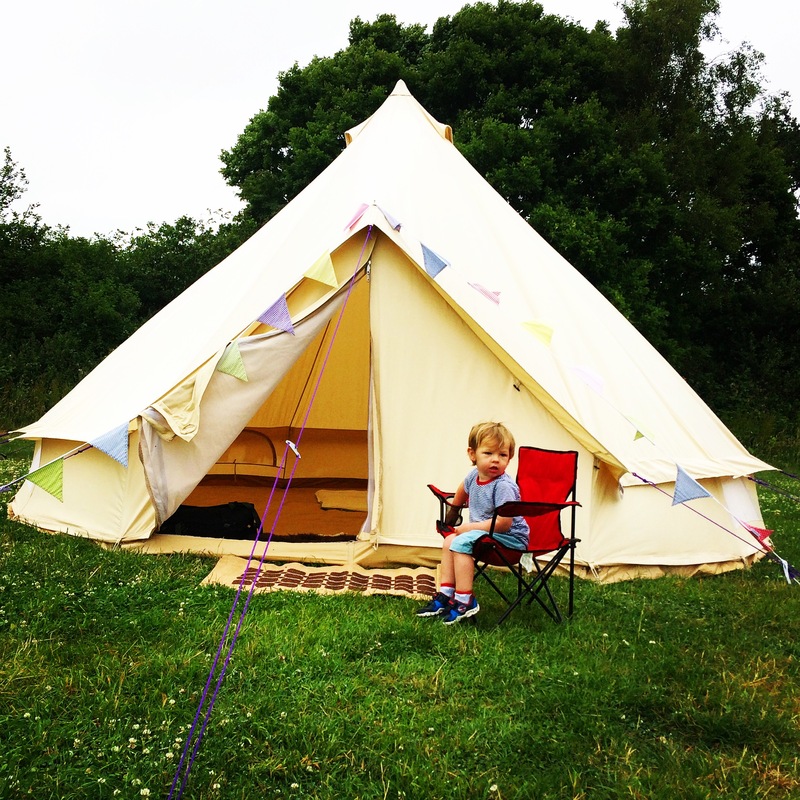 Always keen to keep life as stress free as possible we opted for a pre pitched bell tent. We were thrilled with our gorgeous tent. 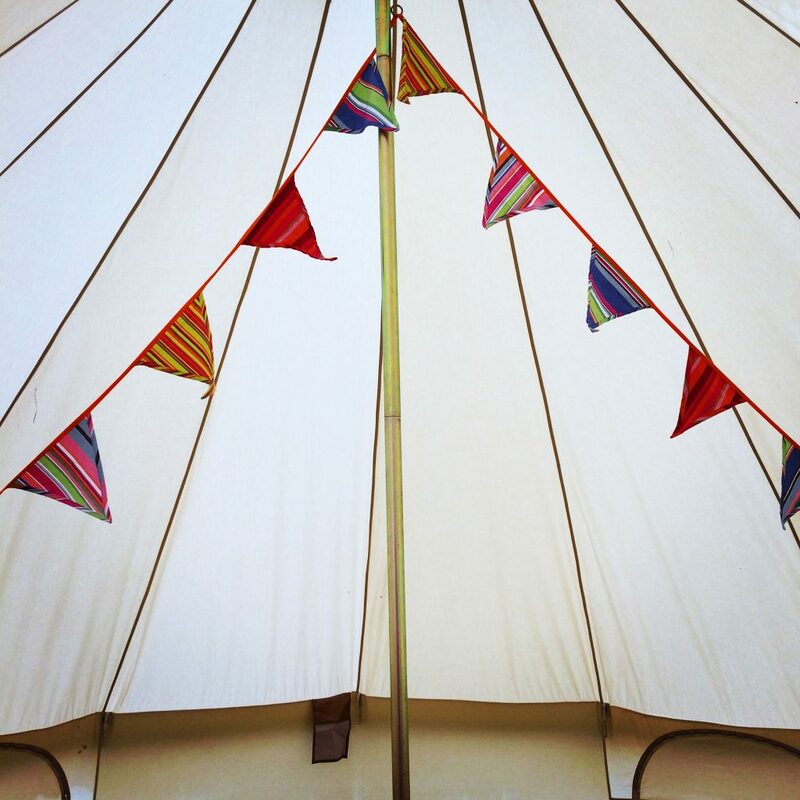 Bunting, fairy lights and rugs are optional at an additional cost of £10…but they really made the tent feel special. The fairy lights provided the perfect amount of light to see but not disturb sleep throughout the night…whilst adding a magical grotto feel to the experience for the children to cherish. 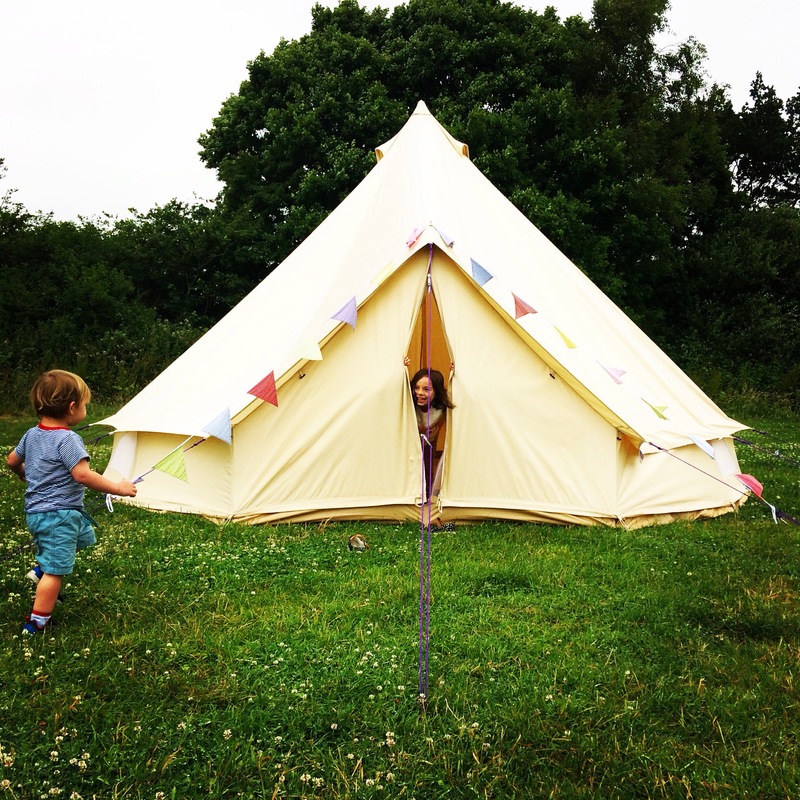 We found the bell tents very spacious as a family of 4 with plenty of headroom to stand up in the middle. The tents were in excellent condition (perhaps brand new?) meaning we stayed warm and toasty dry throughout our stay. 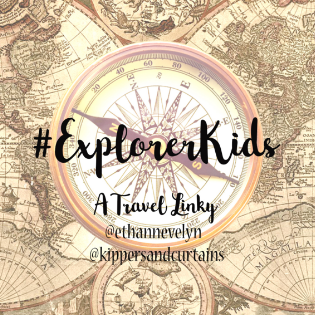 Once we were settled in the children were eager to explore. 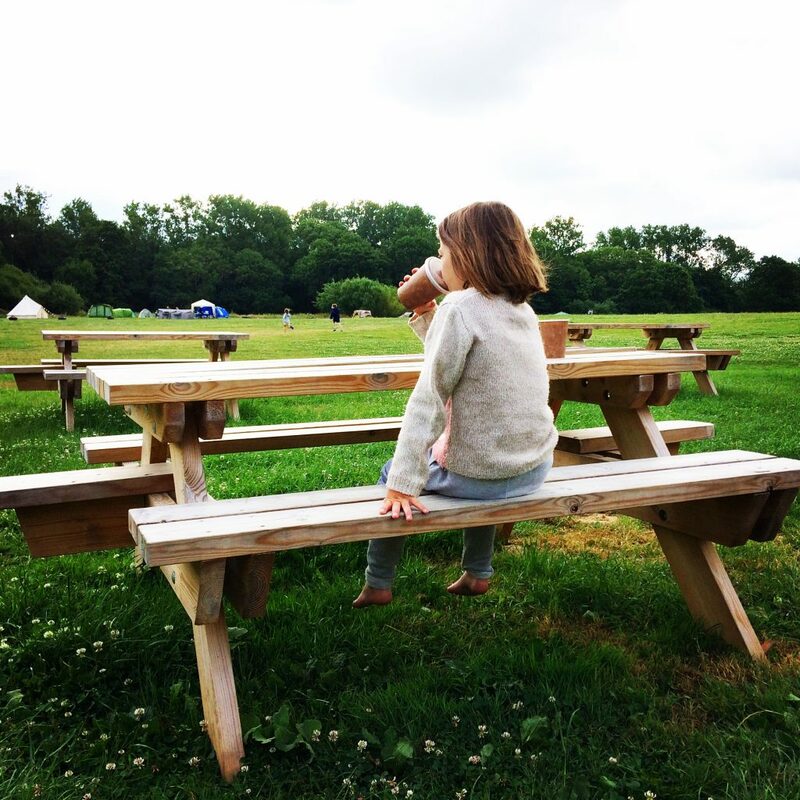 As we live locally they are familiar with everything that Bentley has to offer….the fact that all this was just a 5 minute walk from our tent just doubled the excitement levels. You can easily spend a whole day at Bentley….and time it right and you could end up staying during one of their hugely popular annual events such as the Woodfair and Summer Fayre. Today was all about pottering though….we spent a good 2 hours on the play equipment, miniature railway, motor museum and Wildfowl Reserve by which time we could hear the home made pizza at the campsite calling our names!! Pizzas need to be preordered in the week leading up to your stay. This worked well for us as it was one less meal to worry about and less food to pack (and store) whilst we were away. 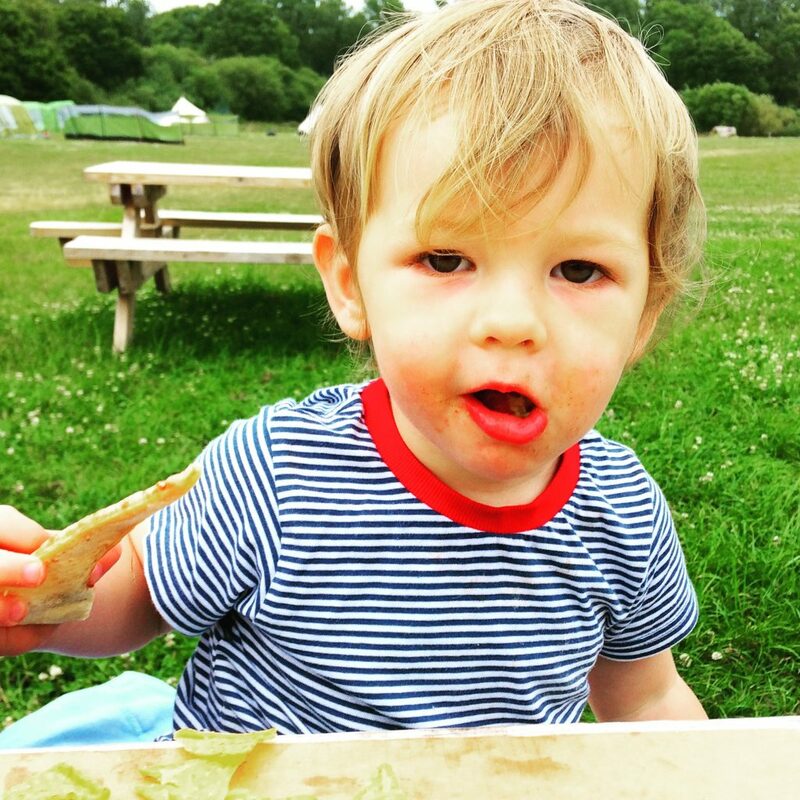 As we have a hungry toddler we requested an early dinner at 5:30pm….indeed on our return to camp the oven was fired up and the pizza bases ready and rolled. 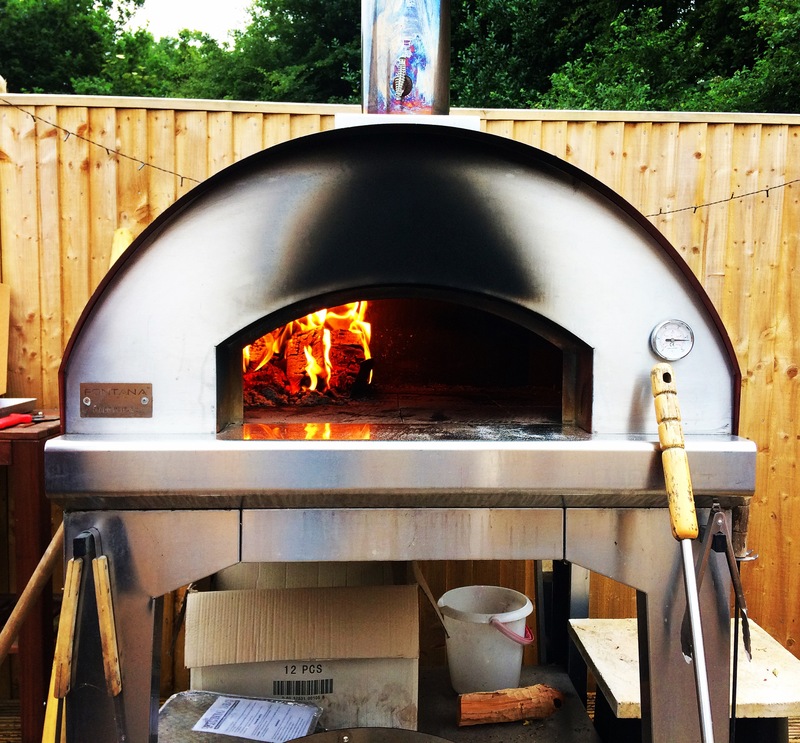 The children were fascinated with the huge outdoor oven and were made to feel involved in the cooking process. As promised our dinner was ready shortly after 5:30pm…and boy it was good! A really simple and stress free meal that the whole family enjoyed. 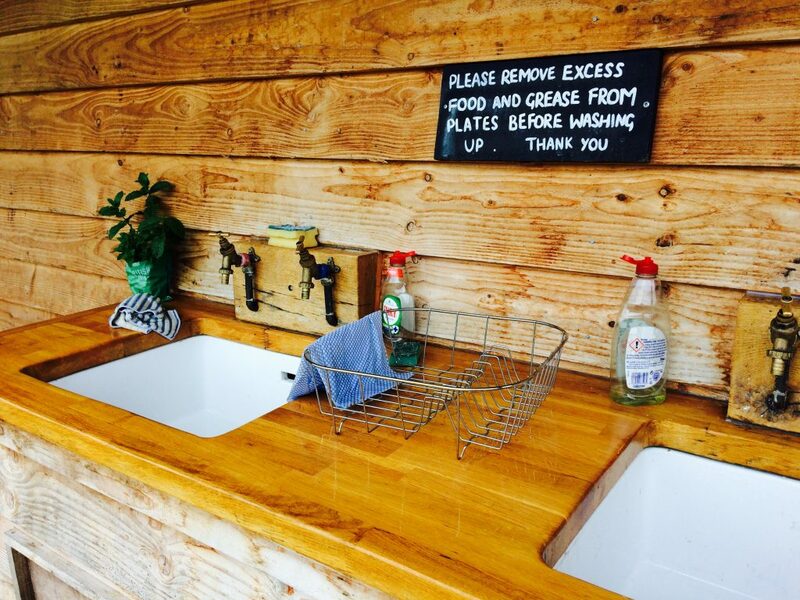 Showering and washing facilities are located in the site’s new wooden facility building. We found the showers to be powerful and piping hot…plus the site uses solar energy to heat their water meaning you can wash guilt free! There are also loos and wash basins which again use water efficient devices to reduce waste and provide an environmentally friendly site. I also liked how there was a box for unwanted but unfinished toiletries so half finished shampoos can be used by future guests rather than going in the bin. Brand new, purpose built facilities that are clean, well maintained and environmentally sound gets a big tick from me. At Embers every pitch has its own purpose-made fire pit with fire wood on sale (£6.50 a bag) sourced from sustainable suppliers. Embers embrace the notion that the campfire is an essential part of the evenings be it cooking or just a family get together. There is something quite special about sitting around a fire with your children…we spent a good hour toasting marshmallows and watching the flames whilst chatting about space and the meaning of life. 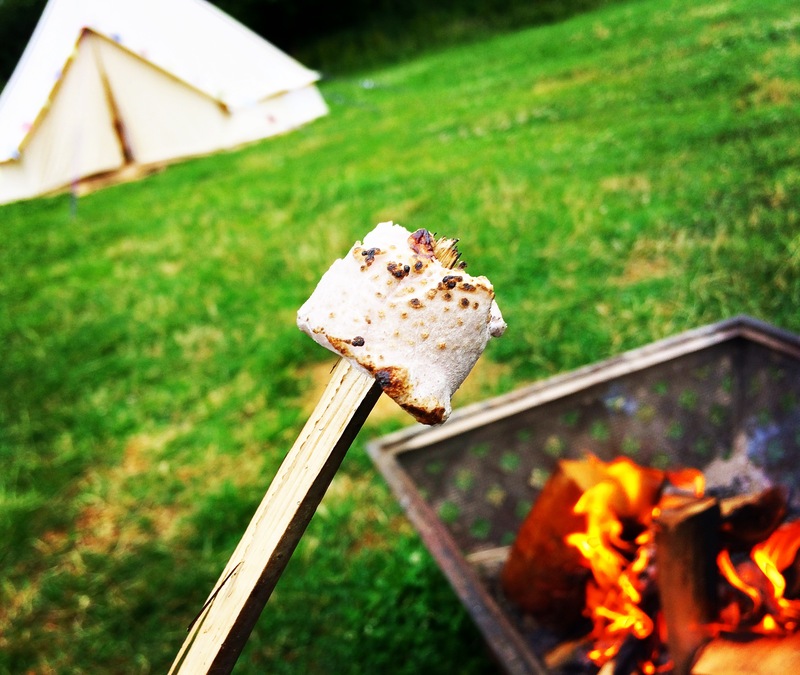 Campfires with the kids is a real life pause button…quality time together. After watching the sun go down and costing up by the fire we all slept well. The tent was warm and spacious and kept us bone dry. To my relief the site shop opened at 8am to provide my morning coffee fix as well as other essentials such as bacon, milk and sweet treats. The coffee was enough to get me kick started and ready to face packing up…although we were all reluctant to leave this incredibly laid back and friendly place. 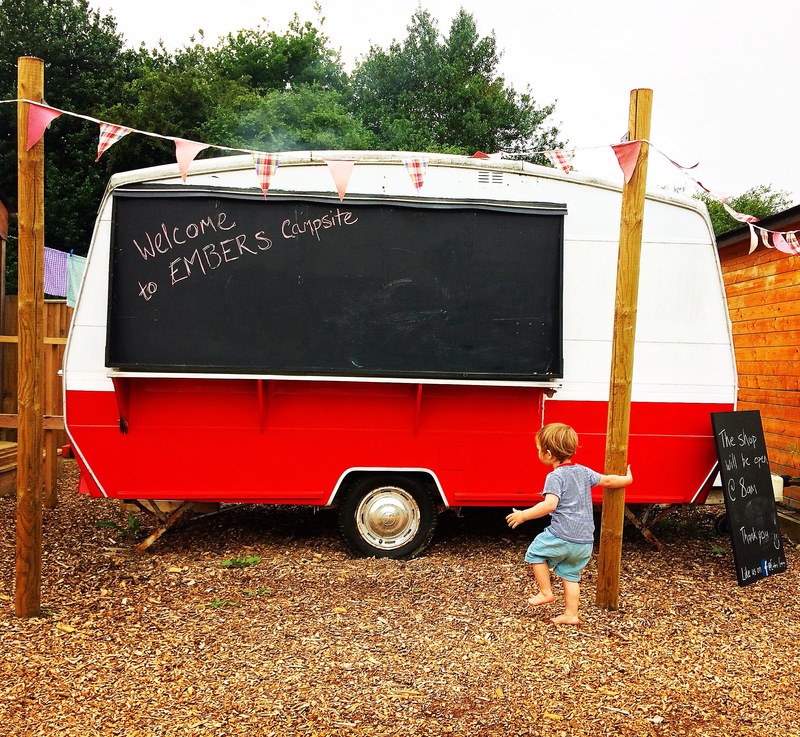 The good news is that Embers Bentley is just one of three Embers campsites…so we’ll just have to go and check out their other sites at Polesden Lacey in Surrey and Beaulieu in Hampshire!! 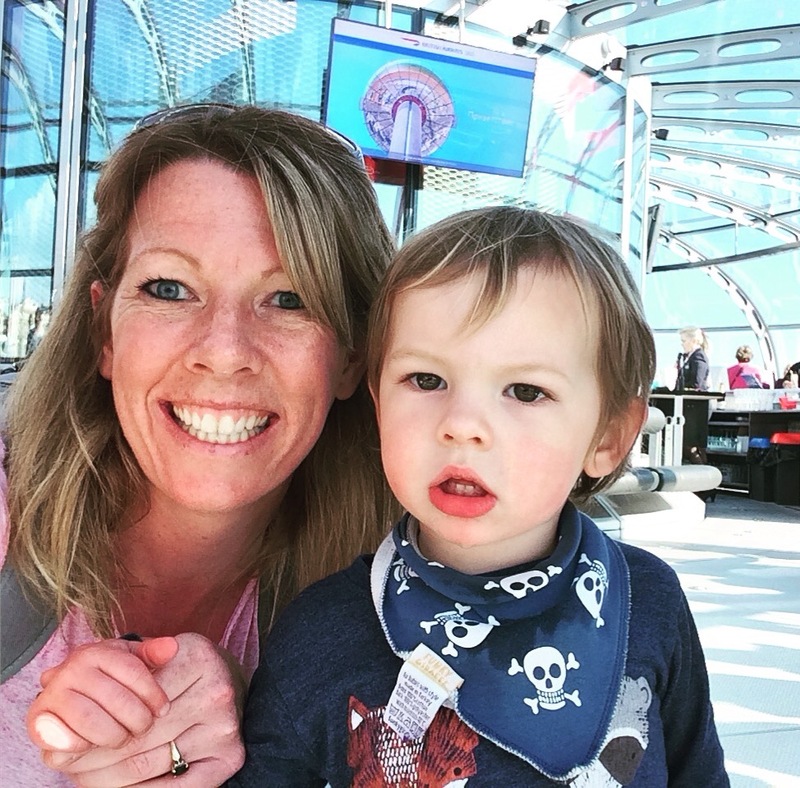 All three sites are located next to or near places that families can explore meaning that your days out are taken care of. Polesden Lacey is a beautiful National Trust property and Beaulieu is both in the heart of the New Forest and a short drive from the National Motor Museum. 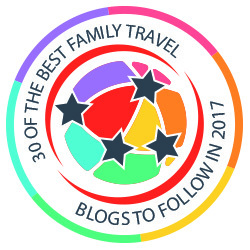 We just need to decide which one to visit first! We received a complimentary stay at Embers Bentley in exchange for this review. All opinions are my own. Thanks to Kathryn for organising our visit and AC and David for hosting us. You can currently receive a 25% discount when booking a mid week stay by using EMBERS25. I love the £10 upgrade for fairy lights and bunting and rugs, totally worth it for the grotto effect and nighttime twinkle lighting for the children. It sounds like a wonderful stay and in a great place with lots to do during the day. It all looks very clean and modern, just what you want away from home. Oh wow what a fantastic glamping and camping site. 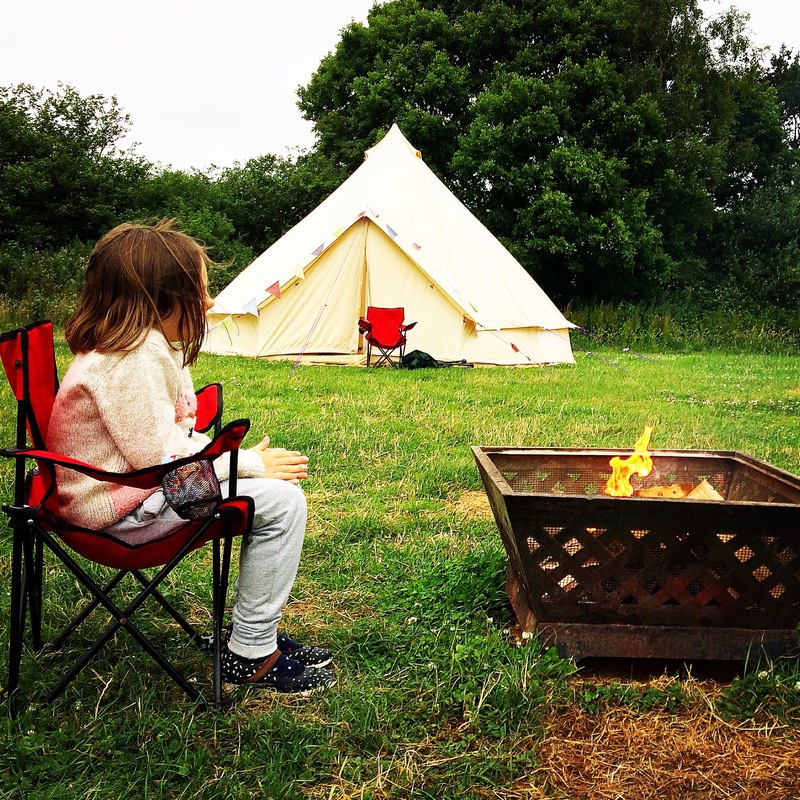 I do love Bell tents and my kids love roasting marshmallows – truly the simple pleasures of life! What a beautiful looking site. Even the washrooms are in keeping with the surroundings. The inside of the bell has exactly the same bunting that we have for ours too haha. Thanks for joining us on #adventurecalling I hope you can again tomorrow.